Okay- lessons- it's always about lessons (well most of the time it should be anyway). And the great part??? CTA facilitates and provides a venue for these lessons for us- a continual thanks to all the support staff here from me and V. Now.... these illustrative lessons and what we can give and take here-sometimes without even knowing it. First- we're suckin' down coffee early this morning and we logged onto the site, wondering if anyone had been out and we read JD's and RSS' excellent report from 3/18 on the Fox Chain Thread titled "not much going on". 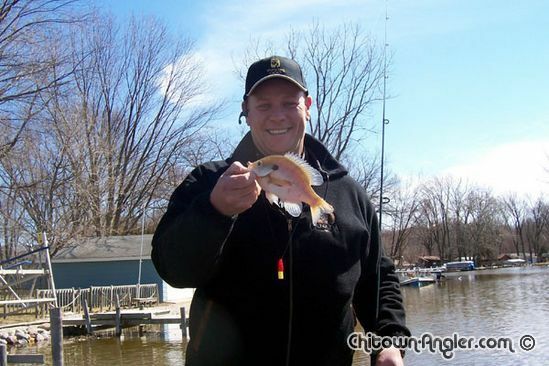 It's a good and honest report from 2 very good fishermen who know panfish, know the Chain and know finesse. We weren't encouraged by their report- be we did learn from it. My point here is that some days we have great days on the water- some days we have lousy days (catching-wise anyway) and both can be very valuable to others of us here. It is still cold. Water warmed to 42 while we were out. 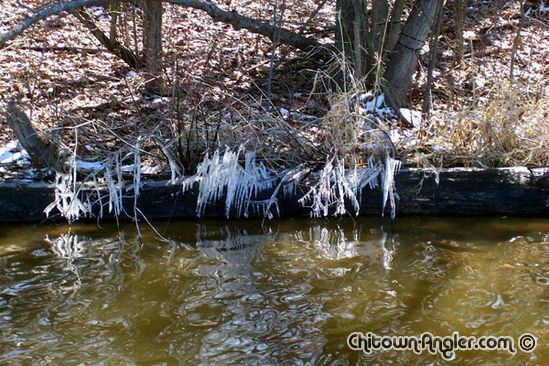 Dunked a couple small musky baits for 30-45 minutes but it's still "way cold water"- gonna be a little bit yet. We stayed til 3:30 then called it. We hit the marina (Pistakee) before finishing but the fish aren't there yet. Water's dirty and 41 in there and it'll take a few more warm sunny days like RSS said to get it going on. But- thanks to what JD may have thought was not a great bunch of info to report - to us it was and it gave us a couple things to work with, forced us to consider options, fish some water we don't normally consider 1st choice water for us (and probably made us pay more attention than we might have otherwise too) and resulted in catcing some decent fish in a couple hours and some smiles and a good sunny afternoon for this early in the process (and make no mistake- it is very early in the process!). I hope we'll all keep reporting the good and the bad- you never know what it's gonna do for the next member here. JD and RSS- thanks for hints and ideas- without even knowing it! RSS- we feel the same- V and I look forward to seeing you real soon too- ice is a distant memory (unpleasant one at that this year) but we're back on the soft water and it feels good don't it?! I'll bet you could tell a tale about burning trash in a barrel and make each of us jealous for not taking part in the same. You and Veronica are simply tops. Thanks for your kind words Todd. I'm glad our report helped. Unfortunately I should have read it too. I returned to the north Chain today with Fish81156 hoping for the sun to make the difference. We hit the north river and lightened up a bit with our presentations but still couldn't produce. Current was very strong and boat control was difficult in some prime areas. Had some taps but no fish. We then hit Squaw and Fox Lake again with the same results as yesterday. Water temps were on the rise and were reaching the magical mid 40's in some areas but just couldn't shake the skunk. We did see some crappie taken from channel lake on small fatheads but as you stated, not fast or furious. 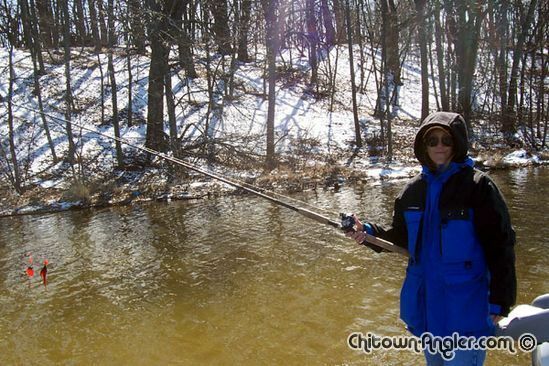 Crappies were smaller males tight up to shore where temps were almost 45 degrees. Good to hear ya got some. As a rookie guide, I need to sharpen my skills a bit and adapt better to changing or should I say, unchanging conditions. Everyday on the water is a learning experience. 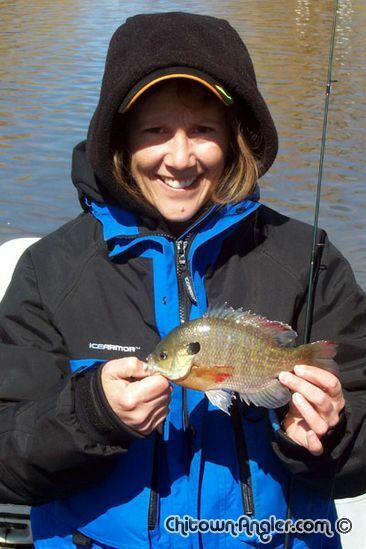 Hat's off to you and your wife for boating fish under some difficult conditions. Though it was a tough weekend for the spinner boat, it was still a good one in my book, testing equipment, scouting the water, spending both days with great company and gaining more knowledge. I read a report of Todd's last week, and really couldn't put into words how great a report it was. I sent him a pm telling him what a great post it was, but couldn't really express how much I enjoyed reading it. Mr. Luc, as usual, has put the perfect response in type. Thanks for another wonderful report Todd. isn't it a bit soon the big guys???? 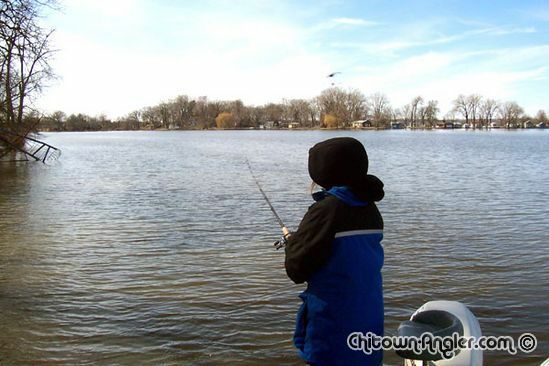 Chitown-Angler was started on February 10, 2003 and has received 207550007 page views in total since that date.